Fairfax County Public Schools high school students have worked to develop and present innovative solutions to improve the lives of older adults as part of the "Shark Tank" Assistive Technology Challenge. Challenge Details: Many older adults and adults with disabilities struggle every day to live comfortably in this ever-changing world – a world that is often not designed to accommodate their highly specialized needs. The widely watched televised version of "Shark Tank" is a platform for inventors of all ages to submit innovative, marketable product ideas that will successfully cater to today’s popular culture. This contest opportunity seeks young innovators who will take up the challenge of designing practical products and applications that older adults and adults with disabilities can independently operate to make the world more user-friendly. 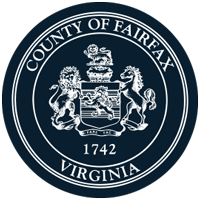 The challenge is sponsored by the Fairfax Area 50+ Technology Committee for high school students to develop an innovative device or application that would have a positive impact on the lives of older adult.